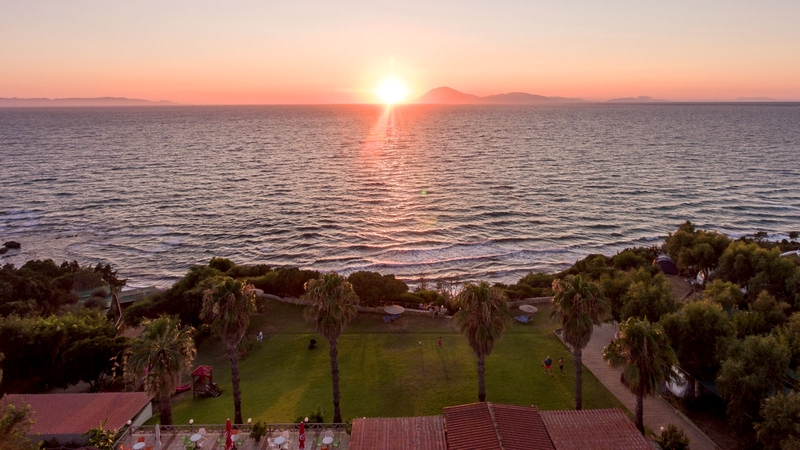 Fournia Village has been created to stand out among the finest 4-star hotels in Kyllini and Peloponnese. Our hotel is located in the western Peloponnese to an amazing beach, on the beach near the homonymous Kyllinis Venetian castle Kyllini. Ideal for summer getaways combines all necessary features to families and couples to enjoy nature so generously has created a unique environment for summer vacation. Kyllini, the charmer of the western Peloponnese, is a global attraction mainly for archaeological remains of Olympia, therapeutic baths and the beautiful beaches. Our luxury hotel in Kyllini features an outdoor pool for adults and for our little friends, a restaurant where you can enjoy local recipes and coffee bar overlooking the endless blue of the Ionian Sea. Fournia Village stands out among luxury hotels in Kyllini impeccable and friendly service and personalized care within its capabilities. The kindness of the staff, familiarity with our long-term visitors and the surrounding area have created enexitili leaves a memory after the holidays, which accompanies them throughout the remainder of the year, with the expectation of the next summer holidays. 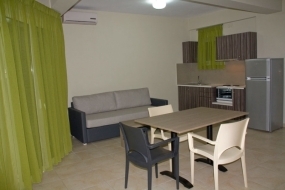 Each 2 space apartment can accommodate 4 adults or 3 adults and 2 children. In our brand new apartments in Fournia Village you will find all the comforts you need. The apartment has a double bed and one sofa bed. The 5th person (child) may be accommodated in folded bed. You will also find a private bathroom, TV, air conditioning, fully equipped kitchen with electric cooker and fridge and balcony. All personal items such as towels, linens, cutlery, glasses, cleaning materials is our concern and there are already inside the apartments. Also, we make sure to replace them. Customers on departure day are asked to leave the room until 11:00 a.m. to be cleaned and ready for future use. 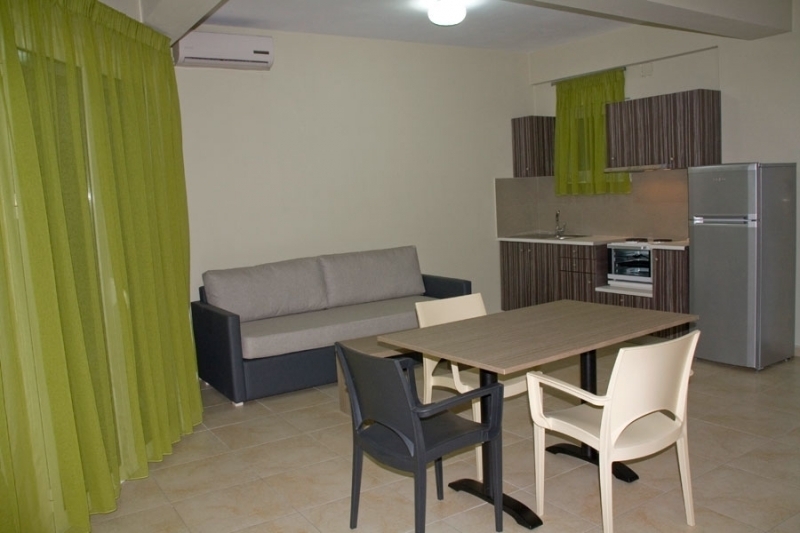 Each apartment can accommodate 3 adults or 2 adults and 2 children. The apartment has a double bed and one sofa bed.